Green Leaves Early Learning is a family-owned business with a purpose to provide early education and care that exceeds traditional care and education standards. To achieve this, we do things differently. Firstly, we know that service excellence is where it all begins. Our passionate and professional teams throughout our business are committed to giving careful attention to every task and every relationship. Secondly, all of our spacious centres are purpose built so we can strike the perfect balance between providing innovative early education experiences and meeting the needs of the communities we operate in. I have had my two young children in this beautiful centre since from the very first day it opened. I couldn't ask for a better place for my children to be. We are nothing without our people. We value, recognise and reward their loyalty and passion. 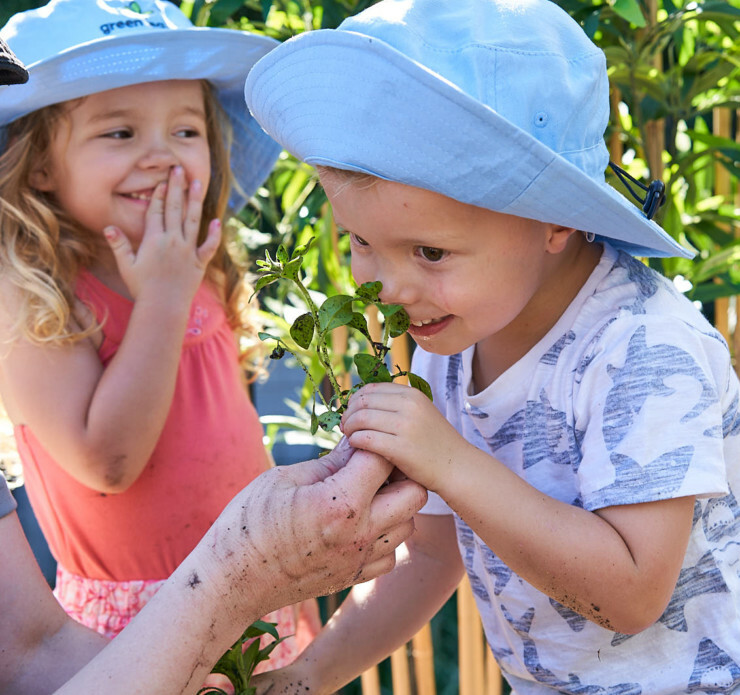 With almost 1000 employees on the horizon, Green Leaves Early Learning is fast becoming the early education sectors employer of choice. This is because we recognise that we are nothing without our people. We value professionalism, passion and reward achievement. In order for our people to create inspiring and effective learning journeys, we must also invest in their own learning journeys. This approach helps ensure our people remain loyal, inspired and motivated to providing high-quality educational experiences each and every day. When you love what you do, you never work a day in your life! I love my job and enjoy coming to work every day. Green Leaves Early Learning provides me with incredible support and the environments are utterly incredible. I feel very fortunate to be a part of this amazing company. We are proud of our successful partnerships with some of Australia’s leading developers such as Arena REIT Management, Westfield, Black Stone, Lend Lease and Stocklands. By partnering with Green Leaves Early Learning, developers satisfy their need to provide their communities with premium early education services that exceed traditional early education standards. “Green Leaves Early Learning provides educational experiences that exceed traditional early education standards. To achieve this, we provide high-quality facilities and educational programs, employ experienced and passionate educators and support the communities we operate in”.